Earlier this year, we unveiled a new cloud-first, mobile-first vision and roadmap for SharePoint, which included innovations that empower people, teams and organizations to intelligently discover, share and collaborate on content from anywhere and on any device. Today, we’re pleased to announce the rollout of modern SharePoint lists to SharePoint Online, along with one-click integration of PowerApps and Microsoft Flow. These enhancements will begin rolling out to Office 365 First Release customers the first week in August 2016. Modern SharePoint lists provide a powerful way for people to collaborate on structured data directly from their team site to help teams organize content—such as investment account onboarding details, field service requests or even softball team T-shirt sizes. 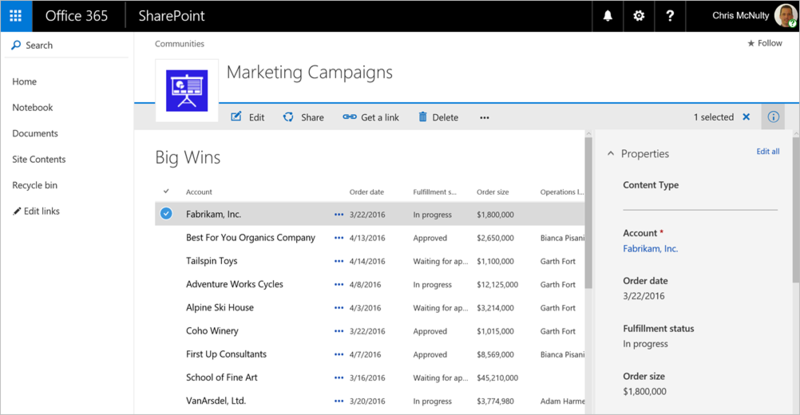 Over ten million custom lists are already in use across Office 365. Now, we’re delivering a modern list experience that looks great and is responsive, accessible and easy to use on any device. The modern SharePoint list experience will be automatically available to all existing classic SharePoint Online lists. Improve ease of use by empowering users to add columns to lists and sort, filter and group data in place. Elevate data quality by viewing and editing all item details in the information panel without leaving the list. Improve productivity by bulk editing list items with Quick Edit. Automate simple business processes with versions, approvals and alerts. Enrich static information with rich data types including people, images and managed metadata tags. Modern SharePoint lists in the information panel. In addition, modern SharePoint lists look great on the SharePoint mobile app—making every location and every device a first-class component of business processes. Editing list items in SharePoint mobile browser. Almost all SharePoint classic lists will automatically inherit the new modern SharePoint list interface. Modern SharePoint lists support the themes, navigation and custom buttons that were created in classic mode. We monitor the compatibility of customizations every time a user visits a list. If we see a compatibility blocker—like an unsupported browser or JSLink customizations—the list automatically reverts to the classic experience. Users can choose to revert to the classic experience at any time, and administrators can configure classic experience as default at the list, site, site collection or tenant level. And rest assured—we have no plans to remove classic mode anytime soon. Classic mode supports your customizations today and tomorrow. Looking forward, we’re going to continue to develop rich customization scenarios for modern experiences along with the SharePoint Framework. Customers regularly exchange data between SharePoint lists and other systems to support business processes. These scenarios become more powerful with deep integration of Microsoft Flow with SharePoint modern lists. Flow automates workflow and data exchange between SharePoint and a variety of Microsoft and third-party services. Now, you can create and launch Flows directly from a SharePoint list and store and modify that data within SharePoint. With PowerApps, you can connect, create and share business apps on any device in minutes. You can build efficient mobile forms and apps directly from a SharePoint list, without needing to write code. PowerApps and Flow share a common connector framework that allows you to weave in dozens of data sources on-premises and in the cloud, including Exchange, SQL, Dynamics, Salesforce, Google, Mail Chimp, Twitter, Wunderlist and more. 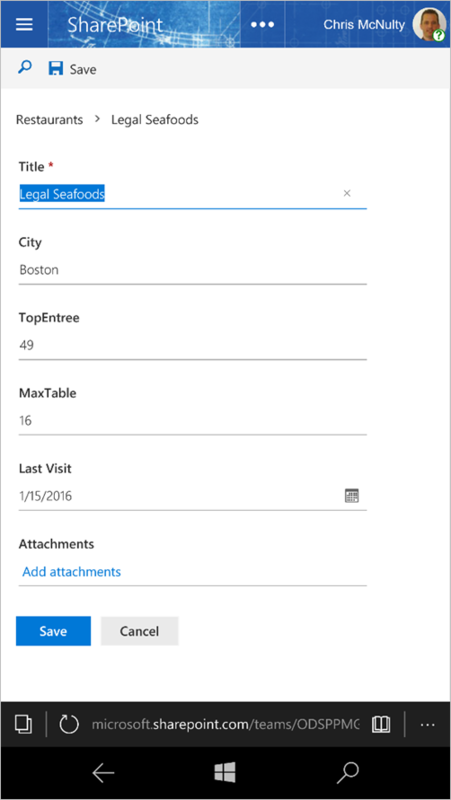 Building a PowerApp from a modern SharePoint list. Set up a new Flow from SharePoint. 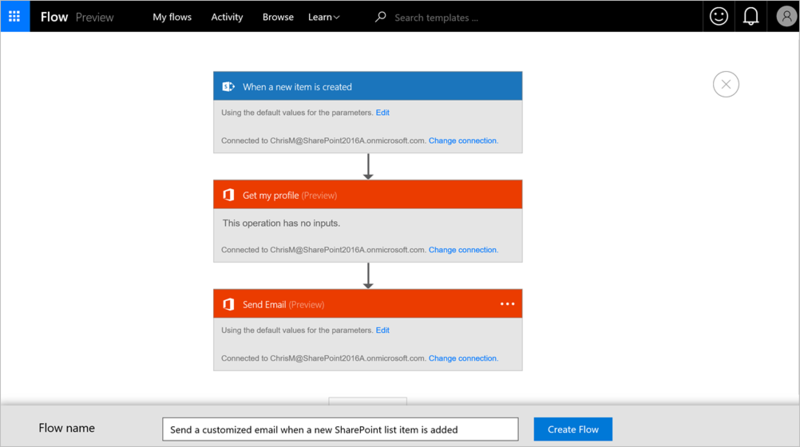 Automatically build a new Flow from SharePoint. Flow and PowerApps are both currently in public preview. 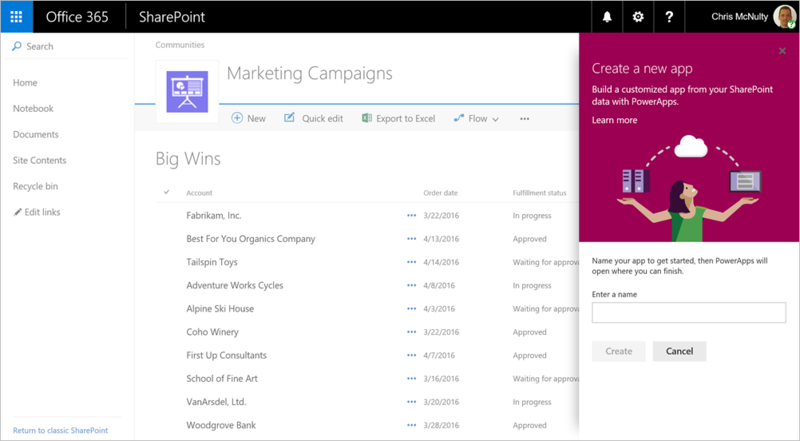 The initial rollout of modern SharePoint lists to First Release customers will be in early August 2016. After that, we will add PowerApps and Flow to the command bar. With Office 365 groups all receiving full team sites soon, even more users than ever will have access to our business app tools. We will have even more to show at Microsoft Ignite this fall in Atlanta. We recognize that customers want to validate these modern SharePoint list experiences for potential impact to users, training, customizations, or third-party solutions. Starting today, we are providing an early preview of the modern SharePoint list experience ahead of First Release and we look forward to your feedback. 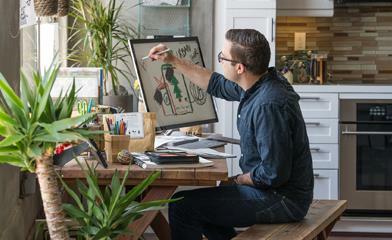 See the Office 365 Network for details about how to enable early preview of modern lists.